Patrik Laine is known for having a killer shot both on the ice and in the hit video game Fortnite. Turns out, the Winnipeg Jets sniper can be just as deadly with his words. 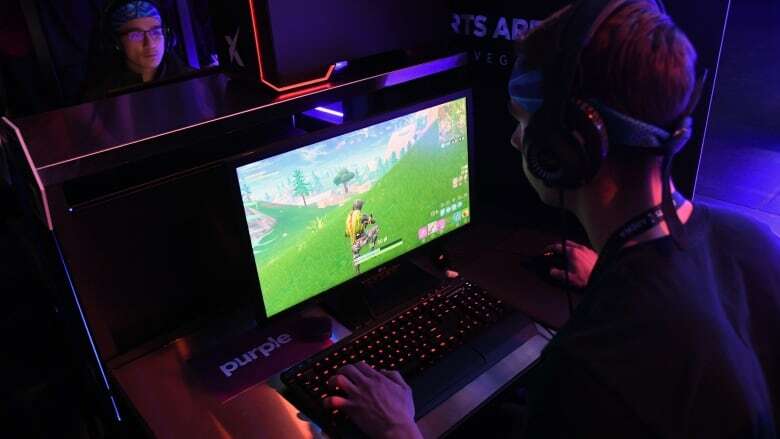 A day after Vancouver forward Bo Horvat said the Canucks have instituted a Fortnite ban for road games this upcoming season, there was talk across NHL arenas on whether or not it was fair to single out the popular online battle royale as a focus-destroying distraction. While some players debated the game's relative merits, Laine took an opportunity to land a critical hit on a Western Conference rival. "I think they just needed something to blame after last year," Laine said, an obvious shot at the Canucks' dismal 31-40-11 record from the 2017-18 season. "And we kind of made a deal if we're playing like that, we can give up our PlayStations so we're not going to take them on the road. But I don't think that's going to happen." Canucks forward Jake Virtanen took exception to Laine's comments. When asked about the Winnipeg's star's words at Vancouver's morning skate on Wednesday, Virtanen said, "Whatever. I don't really care what he says." Virtanen added Fortnite hasn't been an issue for the Canucks. "I just think that where we want to go with our team, anything we can do to get better, that's a stepping stone. You can only go up from last year. ... We want to be focused all the time when we come to the rink but have fun at the same time. But it's all business here." All business was the approach Horvat took when he addressed the Fortnite fallout before the Canucks hosted the Calgary Flames on Wednesday night. "It was just an idea for our group to be a tight-knit group," he said. "We want to change the culture, we want to come together and act as a team. And that's all I'm going to say about it. ... We've got a hockey game to play so I'm not going to be worried about a video game." Laine is a noted Fortnite enthusiast who can play for hours at a time. It hasn't hurt his performance on the ice. He had 44 goals last season in his sophomore campaign. But while Laine is comfortable balancing his gaming passion with the demands of an NHL season, there is concern in hockey, particularly at the major junior level, that other young players may fall prey to marathon gaming sessions — and pay for it on the ice. Fortnite is a game where players are parachuted onto an island and must collect weapons and build defences to survive. One of the game's most popular modes has 100 contestants picking each other off until only one is left standing. What sets Fortnite apart from similar games is its cartoonish presentation. Outrageous costumes and ridiculous dances with names like "Orange Justice" are available as rewards. Why Fortnite in particular has set off alarms is unclear. NHL players have in the past admitted to spending their off-hours playing first-person shooter games like Call of Duty. And surely a night in playing video games will do less damage than one out on the town. "It's a PlayStation game," said Jets forward Nikolaj Ehlers, who like Laine is a Fortnite fan. "Our jobs are to play hockey and we need to be prepared to do that every single day. We know what we need to do to get ready for a hockey game and it's not playing Fortnite till 2 a.m."
For the record, Canucks head coach Travis Green said the team's decision to ban games on the road came from the players. "My kid plays Fortnite. And I have not banned it from him and I'm not banning it from anyone on our team," he said. In Toronto, Leafs forward Zach Hyman was also advising people to chill out. "I don't think Fortnite's the problem," Hyman said before the Leafs hosted the Montreal Canadiens. "I think that you can get addicted to anything. If you're sitting there playing Fortnite for 12 hours a day it's probably not the best thing for you, but if you play it like a normal person — one or two hours a day — then you're fine. "Everybody's got to figure out what works best for them. You're an athlete. You have to allocate your time appropriately. If you're going out all night (partying), you're addicted to going out. That's not good either." Hyman did not see a need for a Fortnite ban in Toronto. "Some guys play, some guys don't. If you want to play, you can play. If you don't want to play, then don't play. It's not something that we're harping down on." There was some division among the Leafs, however, with defenceman Jake Gardiner siding with Horvat. "I wouldn't mind (a ban) either," he said. "Video games get out of control. You're on the road to spend time with teammates." In Ottawa, meanwhile, the Senators aren't planning a Fortnite restriction. "I think it could be a distraction, but we're pros and we should be able to manage it and handle it on our own," young Senators forward Colin White said. "Some of us like to play it quite a bit on this team, but we're never on too late or too long. It usually depends how well we're doing, but we're usually not on past nine. We're good about it. "I can't even explain how addicting it's become. It's just grown worldwide and half our team plays now so it's a good topic in the morning." Calgary's Dillon Dube was more focused on his first ever regular-season NHL shift than the fallout from a video game. "I think if you're addicted to that, maybe you should be a pro gamer instead of a pro hockey player," he said. "So I don't really know what's going on."